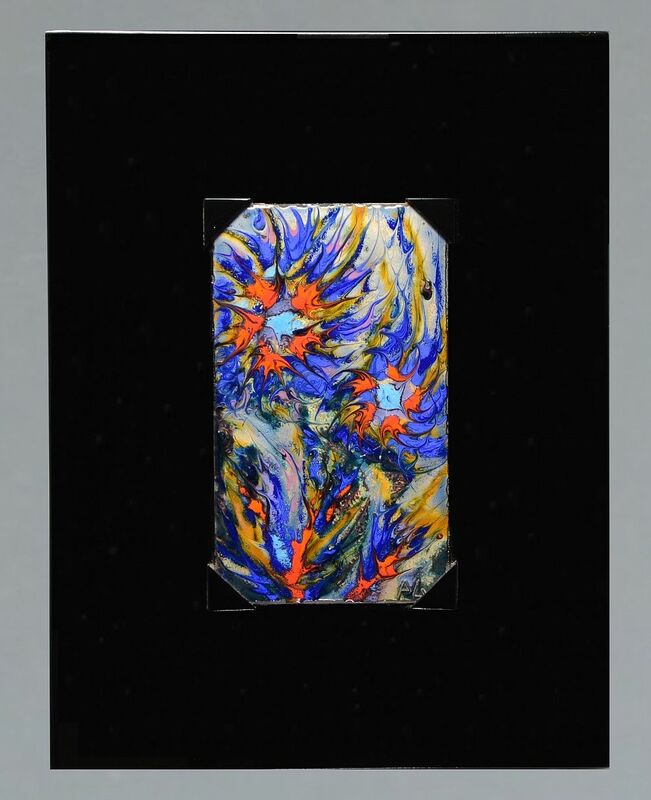 This small enamelled on copper plaque has a marbled abstract design predominantly of blue with red that is mounted on a black lacquered wooden block. 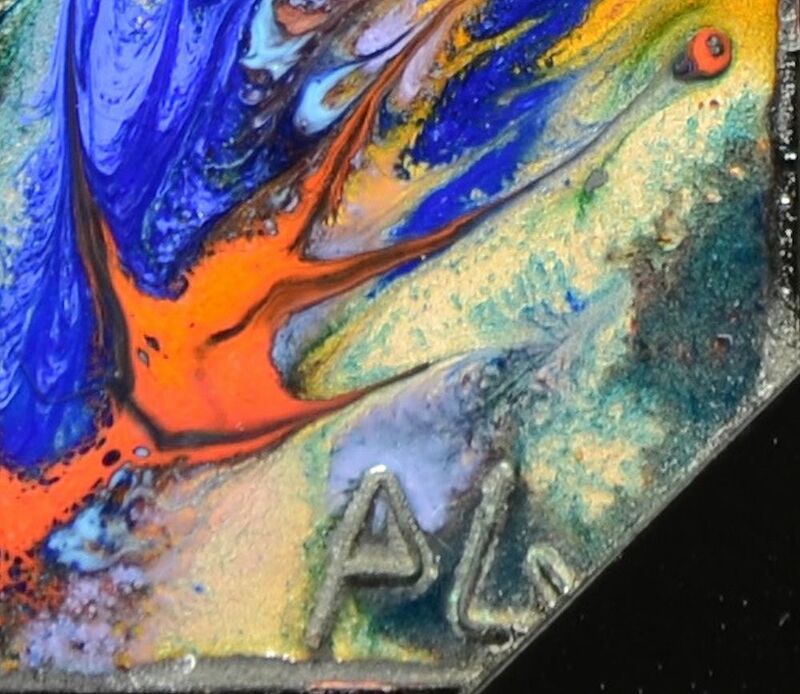 The plaque is signed "AG" and I believe that this plaque is by the same enamelist as the larger one on the site that is signed "A Guibe" and like that one I believe that this dates to the late 1950s - 60s. There is a hook on the back of the block to enable the plaque to be hung.